This week I worked with several challenging 1st grade groups in the music room. Not a big room, and at least 4 students had poor impulse control. However, I wanted to do The Stick Together Game (from Step on the Beat) as a follow up to teaching Body Shape Jam (from AlphaBeat) for a lesson on Body Parts. This would involve traveling, stopping, connecting parts, then traveling again with parts connected. Each short phrase was 4 beats long, so the demonstration was 2 8’s long, which is a good duration for general space traveling practice. The last 4 counts included shaking the drum to indicate the stop was coming and playing a strong double beat to indicate stop. I kept my key words to address body control, spatial awareness, and listening skills, which are crucial to success. Then, we did it as a group, with my words and drum. A third practice was ‘drum talk’ only. Happy to say that, when we did the group activity in general space, it was a success. March 12, 2016. Tags: children's dance education, creative dance lesson ideas, creative dance space management, Locomotor Movement, Movement and Music ideas for young children, Teaching dance to kids, Teaching dance to young children, Teaching Tips for Creative Dance. Behavior Management, Kate Kuper on Teaching Creative Dance, Teaching Skills, Teaching Tips, Thoughts on Teaching Series. Leave a comment. Today I worked with a challenging group of 1st graders with poor body control, and poor interactive and listening skills. Thought I’d do Apples and Oranges as a partner dance. We started with slap and clap, building up from one slap/clap each to two each. For the ‘circle round’ part –I would typically do as a right and left elbow swing – I had them ‘gypsy’ around = circle around a shared axis with only eye contact, not touching. Next, I attempted the elbow swings. Not gratified by the outcome, I switched strategies. We formed a circle, still standing next to partners. Each partner committed to being either an Apple or an Orange, and I checked for understanding with raise of hands. I explained the ground rules for traveling – skip, gallop or side slide – and demonstrated the duration by modeling. Next, we did slap, clap and turn around on our spots, as I have adapted for 4 & 5 year olds. In the repetition of the dance, I had them turn to their partners for slap and clap. This gave the dance just enough social interaction/cooperative skill building to be satisfying to the age group. The positive outcome reminded me that we educators can blend strategies from different developmentally appropriate categories to get just the right balance, instead of staying away from the activity all together. March 9, 2016. Tags: children's dance education, creative dance lesson ideas, Movement and Music ideas for young children, Step on the Beat Lesson Ideas, Teaching Tips for Creative Dance. Behavior Management, Teaching Skills, Teaching Tips, What to do with...., Working with Kate's Material. Leave a comment. This entry was prompted by a question from reader Kerry B., who is currently teaching at a ballet studio. She wants to know how to integrate the expectations of ballet for young students with the creative, concept-based approach. Here’s the story dance exemplar she provided, and my response. Driving to the castle… pathways and directions in space. Trotting and galloping with horses….locomotor movement and speed. (Or can continue with previous concepts) Imagination – be the horses. Marching to dungeon, creeping around dungeon…. levels in space. Tip toe out, walking into garden, hopping on stepping stones…. structure a phrase with elements from each locomotor movement idea. Repeat it several times. Can bring back the pathway and direction concepts. Tip toe into room to prepare for ball…. This is a transition to reimagining the environment. Preplan with dancers for where they will end in the space for the next section. Potentially a large circle, so that in the next section, dancers will take turns in the middle. Group and solo dances at ball…. opportunity for ¾ time lyrical improvisational dancing. Can tap dancers on the shoulder to indicate when they dance in. When you cue them to come out, they tap a dancer to take their place. Leaving ball… end in a final body shape. January 23, 2016. Tags: children's dance education, dance lessons for ages 3-5, Movement and Music ideas for young children, Teaching dance to young children. Creative Dance Lesson Plans, Kate Kuper on Teaching Creative Dance, Studio Teaching, Teaching Skills, Teaching Tips, Thoughts on Teaching Series. 4 comments. With early childhood, in the school setting, when the children come to me, I use Down By the Station (from Songs for Dancing) as the transition to entering the gross motor space and forming a circle. It sets the stage for imaginative play, reminds children that they have not come to ride the bikes or play on the climbing structure, and ends us in a desirable spatial formation. From there, we either sit or stand for a welcome activity, followed by our warm up. After doing this song/activity every week for many weeks, the children were no longer ‘transformed.’ Spirited children were getting into other people’s personal space, etc. It has become one more single file line, and we know there are already plenty of those in the school setting! I DO know that children like to MOVE, and, once the newness wears off, walking on the beat just won’t cut it. SO…I told the children we were going to do a special kind of train. First it was a JUMPING train. Then, after we’d pointed out all the different animals and plants we saw on our train trip and returned to the song, we were a HOPPING train. This changed it up just enough to add interest, it was aerobic and exciting, and accomplished the activity objective (get into the space, end in a circle, sing, move, imagine). Look for different locomotor movements (stomping, turning, tipping side to side), energy qualities (shaky, sharp), or levels (high and low) to spice things up in your own train….or when leading ANY SINGLE FILE LINE. Think outside the box (car)! May 18, 2015. Tags: children's dance education, creative dance lesson ideas, creative dance lesson plans for early childhood, creative dance lessons for Head Start, dance lessons for ages 3-5, Movement and Music ideas for young children, Songs for Dancing lesson ideas, Teaching dance to kids, Teaching dance to young children, Teaching Tips for Creative Dance. Behavior Management, Kate Kuper on Teaching Creative Dance, Teaching Tips, Transition Magic, What to do with...., Working with Kate's Material. Leave a comment. What to do with…Show Your Feelings! Show Your Feelings! is found on AlphaBeat. Use visual supports to frame the experience. 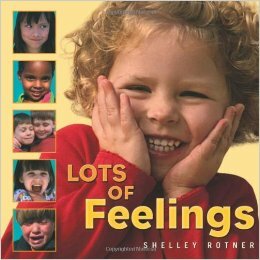 I recommend Lots of Feelings by Shelley Rotner. This book has photos of children making faces and covers almost all the feelings in the song. You can also create your own visual supports by taking pictures of your students (individual or group) as they perform the song. Print the pictures and caption them with the emotions. Make an emotion word wall, and use these as a reference to help children verbally identify and express their emotions. Thanks to Rachel at the Savoy Head Start for the emotion word wall idea! March 25, 2015. Tags: AlphaBeat Lesson Ideas, Creative Dance, creative dance lesson ideas, creative dance lesson plans for early childhood, creative dance lessons for Head Start, creative dance teaching with visual supports, dance lessons for ages 3-5, Dancing for Head Start children, Movement and Music ideas for young children, Teaching dance to kids, Teaching dance to young children, Teaching Tips for Creative Dance. Favorite Books, Kate Kuper on Teaching Creative Dance, Teaching Tips, What to do with...., Working with Kate's Material. Leave a comment. Question: I would want to know how one would go about planning a lesson plan for children with physical or behavioral disabilities. Would it have more “easy” activities? Physical disabilities and behavior disorder are two different issues. Physical disabilities require modification based on the disability. First of all, don’t be afraid. Treat the child as a member of the group. Be matter of fact. Be empathetic without being sympathetic. Hearing – Position the child close to you so they can read your expression. Use a microphone (head set is best). Some schools provide you with a clip on microphone that goes directly to the child’s hearing device. Sight – Use touch. Sing. Emphasize rhythm. Use imaginative play. Mobility – Use touch. Encourage children to move the parts that are mobile. Engage with facial expression. Put a child with lower body mobility issues where they can participate as fully as possible, rather than off to the side. Some are very intelligent and disengage when there isn’t enough stimulation. These are children who will likely be among your best students because they want to move and learn simultaneously. The teaching skill is to honor this variety within a group and address their differing needs. Sometimes you just can’t win. I once had a student who deliberately did the opposite of everything I was teaching, and talked aloud at the same time. Challenging! Teach 2 of the Four Tools right away (Concentration, Body Control). Add imagination and memory, so they don’t think you are only there to discipline them, but to honor their creativity and intelligence as well. Remember that The Sequence (Braindance) helps wire the brain for concentration and focus. Do it regularly! Exercise released ‘feel- good’ chemicals such as dopamine and serotonin which indirectly influences self-efficacy. Low intelligence – Applaud and compliment what the child CAN do. Make the rules of the activity for that child simpler. Partner with that child to guide, or have another adult partner. In a room where there is a one-on-one aide with the child, actively engage the help of the aide; don’t let him/her just stand next to the child or stand and speak to the child but not move with him/her. (This can be hard, but you have to take the lead on that.) Pair low children together to do a simplified and modified version of the activity. Pair a low child with a compassionate child of typical intelligence, but don’t make that child be the partner all the time. Not fair to him/her. Stand near the low child to offer guidance. Focus issues – Teach ‘concentration’ and ‘body control’ and ask for it by name. Create a special signal with the child that means ‘eyes on me.’ Call the child by name, and pause to use the special signal. Compliment the child frequently for using the tools. “Catch them being good.” Do a ‘shake your sillies’ out activity after a challenging one, to help with reset. Use Mountain Breathing. Use Resting in the lesson, but expect to keep it shorter, as that child may wiggle. Adjust that child towards the beginning of resting, then remind them to respect the group by being quiet and still for a few more moments so that you can give other children an adjustment. Doesn’t like touch – Ask “may I touch you?” Smile at the child and say something nice…..allow them to come to YOU. Use the body shapes for learning frequently (sit ready position, etc. ), even during an activity as a reset. Autism Spectrum – Transitions are hard for these children. Let them in on the lesson flow so they know what’s coming next. Make a private plan with this child. Ex: Agree on ‘reset’ cues: a shoulder squeeze or subtle visual signal that indicates ‘time to watch and listen.’ Be aware that touch, loud sounds and bright light may be an irritant. Be patient, kind and flexible. For more good ideas….. see work by Eve Kodiak who had developed movement exercises that help children with mind-body integration. I suggest “Rappin’ on the Reflexes” from her work – a CD/book combination. Read more about it on her website and order the material. February 21, 2015. Tags: children's dance education, Creative Dance, creative dance behavior management, Eve Kodiak, Movement and Music ideas for young children, Teaching dance to kids, Teaching dance to young children, Teaching Tips for Creative Dance. Behavior Management, Kate Kuper on Teaching Creative Dance, Special Needs, Teaching Skills, Teaching Tips. Leave a comment. Q: I want to be more intentional about developing a movement vocabulary in my elementary music classes. Which one of your publications would be best for providing a sequence and some activities for doing this? I have all of your books. I just need guidance on where to start. A: My books and music include many activities that align to concepts in music and dance. A concept-based approach to teaching is more effective and enduring than an activity-based approach. Students learn specific concept-related vocabulary. Teachers can layer on new concepts and vocabulary from week to week. You, the teacher, can also REPEAT ACTIVITIES in different lessons THROUGH THE LENS OF A DIFFERENT CONCEPT. Here is a suggested 9-week sequence, organized by concept, rationale, activities, age-ranges, and source material included. I always start with a warm up, which may be my second lesson, having captured their interest with something exciting on the first day. I use Brain Bop for warm ups. Sometimes, for K-1, I change it out with the warm ups on AlphaBeat or Everybody Do This from Songs for Dancing. For the most part, though, I favor the brain-based sequence (Anne Green Gilbert’s Braindance) found on Brain Bop. Rationale: To learn how to describe and respond to all directional movement, whether moving in self or general space. Rationale: To learn how to describe and respond to relative distance from the floor. Rationale: To understand our relationship to space, self and others in order to move with more skill and awareness. This also builds the vocabulary of preposition words and teaches positive and negative space. Rationale: To recognize the difference between smooth, sharp, shaky and swinging movement and explore creative ways of changing between these energies as students move in place and through space. Rationale: To learn body parts vocabulary and explore creative ways of using parts of the body when moving, making shapes and working with others. Rationale: To learn that we make patterns on the floor as we travel, and patterns in the air with different body parts, using different levels, directions, and spatial relationships. Rationale: To learn shape vocabulary and explore creative ways for use shapes when moving and working with others. Dances begin and end in a shape. Rationale: To learn and recognize the eight basic locomotor movements, individually and in movement sequences. “I use a variety of resources. But, my top choices would be the Anne Green Gilbert book (Creative Dance for All Ages)* and your resources. Any time someone asks for creative dance resources that is my standard answer. I do concept-based teaching. My focus is creative dance (dance elements -BEST – Body, energy, space, time). I try to teach one dance to all classes to discuss choreography. It might be a folk dance or a dance that we create together. 3rd through 5th grade always has a group choreography project using the concepts we have learned / explored. Of course, I try to cover all of the State Learning Standards, but often cannot get to all of them in 6 weeks. *Kate adds: Anne Green Gilbert created a later publication called Brain-Compatible Dance Education. This book is organized by lesson plan component rather than concept, and included both many Braindance variations (like the material on my Brain Bop CD) AND references to Eric Chappelle’s companion music called Contrast and Continuum, Volumes I – IV. I use both books. When I started trying to analyze how & when I use your CD’s at my various levels (K-5) and realized it was a very complex thing. I am not absolutely consistent with what I use first. Usually the Welcome Song followed by the Flea Song is a good start with my younger classes. I used to start with the Train Song, but now introduce that later in my sequence when we are studying pathways and sometimes even have 2 or 3 short trains going at once! If I think they need to calm down and focus, I do the first section of the Brain Dance warm up from Brain Bop. Lately, I have been using the Galloping Song to transition from their table seats to their Poly spots on the dance floor. I use the Action Dance from AlphaBeat to review locomotors and break the ice with my new 3rd graders at the beginning of each 9 weeks. Other things are seasonal: The Haunted House in October, The More We Are Together for Valentine’s Day. How do YOU organize YOUR dance unit? January 23, 2015. Tags: AlphaBeat Lesson Ideas, anne green gilbert, children's dance education, Creative Dance, creative dance lesson ideas, free dance lesson plans, Movement and Music ideas for young children, Movement in Elementary Music, Songs for Dancing lesson ideas, Step on the Beat Lesson Ideas, Teaching Tips for Creative Dance. Creative Dance Lesson Plans, Elements of Creative Dance, Kate Kuper on Teaching Creative Dance, Lesson Plan Organization, Teaching Tips, Working with Kate's Material. 1 comment. This is the third and final post in this Lesson Plan Series. Simplify more complex activities to make them age appropriate. Teach a skill, then apply it in the following activity. Use visual supports to teach, empower and improve memory. For Here We Go Round and Round, I adapted a circle dance that is usually done holding hands, traveling around the circle line. Since the concept was ‘Body Parts.’ I made the circling into ‘circle one body part, one way and the other.’ The sequence of the dance remained the same except for that. I posted the downloadable visual support for this dance, found on the Songs for Dancing CD, so we could use it as a visual reference. See my post called What to do with…. Here We Go Round and Round for more details on that. See my post called Using Galloping Song to teach Apples and Oranges for more details on that! Use the letter “S” to teach qualities: smooth, sharp, shaky and swinging. You can even use letter blends – sh, and sw – if you want to up the challenge level. Use the “S” visual for review, to check for understanding. See my post called What to do with….Imaginary Journey to download the visuals for that activity. Use the visuals before you teach, while you are teaching, and when you review. Very powerful and empowering for the children. Finally, use your collection of visuals as an archive. When it’s free choice time, I place three pictures in front of a child and ask him/her to choose which activity we will do. If there’s time, pick another child to choose another activity after you’ve done the first one. There are all kinds of methods you can use to select and sequence free choice activities when the visual supports are available. I keep my visual supports in page protectors in a binder. I either put the ones I’m offering for free choice on a 1″ book ring for ease of flipping pages, post them on the board, or lay them out on the floor. Here are the last 5 lessons in this series. Enjoy your time with the children! November 23, 2014. Tags: AlphaBeat Lesson Ideas, children's dance education, Creative Dance, creative dance lesson ideas, creative dance lesson plans for early childhood, creative dance lessons for Head Start, creative dance teaching with visual supports, dance lessons for ages 3-5, Movement and Music ideas for young children, Songs for Dancing lesson ideas, Step on the Beat Lesson Ideas, Teaching dance to kids, Teaching dance to young children, Teaching Tips for Creative Dance. Creative Dance Lesson Plans, Kate Kuper on Teaching Creative Dance, Studio Teaching, Working with Kate's Material. Leave a comment. In my Creative Dance for Children mentoring program a few weeks ago, we got to talking about the steps for guiding Creating activities in class. This pertains to ages 4-10. When guiding students, you have to assume a leadership role at many points along the line. First, you lay out the structure for creating as clearly and simply as possible. Visual aids, such as mapping or vocabulary, may help a great deal. If you are working from a poem or a picture, you have it posted. Next, you divide the group into sub-groups if you have enough assistants in the room (for younger) or if the children have self control and concentration to function successfully in small groups. When first empowering students to work independently, duets are good. Generally 5 is a large group. Before you send groups off to work, have a sound signal ready that will mean ‘freeze, sit, look and listen’ so you can get everyone’s attention once they are spread out in the space. This could be a drum or hand clap pattern. Make sure to have a nice distribution of ‘chiefs and indians’ in the group so the leadership is balanced. Also balance out off-task and on-task folks. Instruct groups to first plan, then get up and test their ideas. Next, they need to refine their ideas, ‘set’ (that means remember so you can do it again) and practice. After that, they can re-evaluate their choices, refine again and practice. Give the groups a short amount of time to work (5 minutes), and check for progress, allowing for another minute to wrap up before showing. Move among groups during the working process. Ask them: ‘show me what you’ve got’ if they appear stuck or have completed the assignment. They can refine if they are done, and get back on track if they are stuck. If you see one off-task child in a group, you can join them for a while to calm that child and help with focus. When it’s time to perform, select your order of performance. Stronger groups should perform later in the line-up, since they know what they are doing and will remember it. This is also so as not to intimidate weaker groups who may feel less successful once they’ve seen the stronger groups. Put anxious groups early in the line-up, too. Review or teach audience and performer skills. Audiences watch with a purpose, don’t practice their own dances, are still, silent, respectful and facing towards performers. You can check what the purpose is they are watching for (usually the concept or structure of the dance). Performers are still at the beginning and end (a big breath helps), do their best, and don’t get flustered if they make a ‘mistake’ (since the audience doesn’t know the rules of their dance anyway!). Even though these are only ‘studies’ that performers are show, audiences can still applaud at the end to show appreciation. Reflect on the dances. Decide on how to approach this. Will everyone have an opportunity to volunteer an observation, or one group comments upon another, with that rotated around? A spokesperson from each group? Lots of possible ways to do this. What are good reflection questions? You can guide the group to recall elements from the purpose of the dance, memorable moments they saw, sequences, etc. Groups can themselves talk about the process of making the dance: what was the leadership dynamic? If there was one thing you could change about your dance, what would it be? Again, lots of internal reflection possibilities. In our program, we find this process takes about 20-25 minutes, from start to finish in a group with approx. 12 children and a maximum of 5 groups. Divide groups, teach the sound signal for getting their attention. Give a time limit, and a wrap-up time limit. Move among the groups to check for understanding. Decide on the order groups will show. Be ready with meaningful reflection questions and a strategy for how reflection will be conducted. And, of course, have a pleasant look on your face and a smile in your heart as you work, oops, I mean ‘play.’ Creating is challenging fun! November 15, 2014. Tags: children's dance education, Creative Dance, creative dance lesson ideas, Movement and Music ideas for young children, Teaching dance to kids, Teaching Tips for Creative Dance. Creating, Kate Kuper on Teaching Creative Dance, Reflection and Closure, Studio Teaching. Leave a comment. Here’s a good question from a reader: Do you have any ideas or tips, suggestions for the 2 and 3 yrs. old group? Their attention span is so short, and preventing chaos it’s always a must. Do you have any suggestions on how to balance the fun and learning concepts with this age group? In your opinion, what are the most important concepts and skills for the 2 and 3 yrs. old to learn in a dance class environment? This is such a tough age when it’s just you and a group of children, rather than a parent/child program. My first thought is always to include parents with this age group when possible, so they can bond and communicate through movement, develop a shared vocabulary of movement and continue the play at home. However, if that’s not possible, look at where these young children are developmentally. Little ones have not yet grasped the idea that you cannot read their minds. They also play in parallel rather than relating to one another. In her book Creative Dance for All Ages, Anne Green Gilbert says 2-4 year olds learn through imitation, manipulation, observation and exploration. For imitation, use a lot of “I model, you copy” and “Do what I do.” Teach with tons of eye contact and positive, smiling energy. Modulate your voice. Scan the group with your eyes. Strike just the right balance when pacing the lesson. The first time you do it, go slow enough to catch their attention. In later repetitions, you can speed up a bit. Keep teaching light, friendly, and fun. And don’t take it personally when kids go through their changes. Mood swings are common; don’t get attached to the sadness…they don’t! Manipulation means using touch to communicate. When I do cross lateral movement, for example, I will pick up the arm or leg of the child next to me so she/he can feel the action. Think of all the finger play, tickling and bouncing games that have movement in them and can be done one on one, in a parent/child class. A hand puppet is a fun prop to use for appropriate touch, such as teaching body parts. Around goes the puppet touching each child on the shoulder, the knee, etc. as you name the parts. Observation means watching and listening. Some children will choose to watch you and do very little movement themselves in class, even week after week, and then go home and sing the songs and perform the actions in the safety of their familiar environment. Be patient with the shy watchers. They will come to you. Exploration is about teaching the dance concepts. Limit yourself two ideas for a concept area, such as size (big and small), level (high and low), direction (forward, backward, etc.) and speed (fast and slow). When you come back to a concept later, you can layer in additional points. Look for activities, songs and stories that emphasize your chosen concept, and let that be the thread that runs through the lesson. Check for understanding by having children show you: Show me a big shape! A small shape! If a child can see, hear and do the concept…. they are on their way to understanding it. Use visual aids: pictures and picture books. Alternate between picture and movement instead of all the pictures followed by all the movement. Example: Using the book Dear Zoo by Rod Campbell, have children move each animal as it appears in the story, then return to the book, sit down, and discover the next animal. Guide the movement with ideas you’ve already come up with, such as a big and small face for a lion’s silent ‘roar’ or a tip-toeing, arms-reaching -up ‘giraffe.’ This will also control the chaos. The age of a child plus 2 minutes = a typical attention span. Therefore, structure your lessons in 5 minute increments and make sure to keep the instruction brief with plenty of movement time. Expect to ‘play rather than plié’. By that I mean hard-wired skill development should be fun and brief. Repeat, repeat, repeat…then do something new. Set routines and follow them…. just plug in different activities but keep the structure familiar. You can even post the routine and point out where you are in the flow of the lesson during the first few weeks. This relaxes the anxious child who wants to know when they will go home! Familiarity breeds comfort. Transition strategies are also part of routine and familiarity. Name the formations and transition strategies with the same words, play the same clean up tune, etc. In time, everyone becomes empowered and loves to show you that they know what to do when you say the words or play the tune. Through dance, we teach the super-important life skill of following instructions. My four tools that I want children to know are Concentration, Body Control, Imagination and Memory. (You can simplify the language: Watch and Listen, Control Yourself, Pretend, and Remember) I teach each with a gesture and use the word/gesture combinations frequently. Sometimes all I need is the gesture. Decide on your cues/words for transitions for following instructions, such as ‘look at me’ or “my turn first, now your turn” or “1,2,3 ears on me, eyes on me as well” when modeling a skill. What are some other strategies that you, my readers, would like to share on this topic? November 9, 2014. Tags: Creative Dance for Children lesson ideas, dance lessons for ages 3-5, Movement and Music ideas for young children, Teaching dance to kids, Teaching dance to young children, Teaching Tips for Creative Dance. Elements of Creative Dance, Kate Kuper on Teaching Creative Dance, Studio Teaching. 1 comment.